Worker’s Rights Telenovela Screening with Gabriela Ceja. 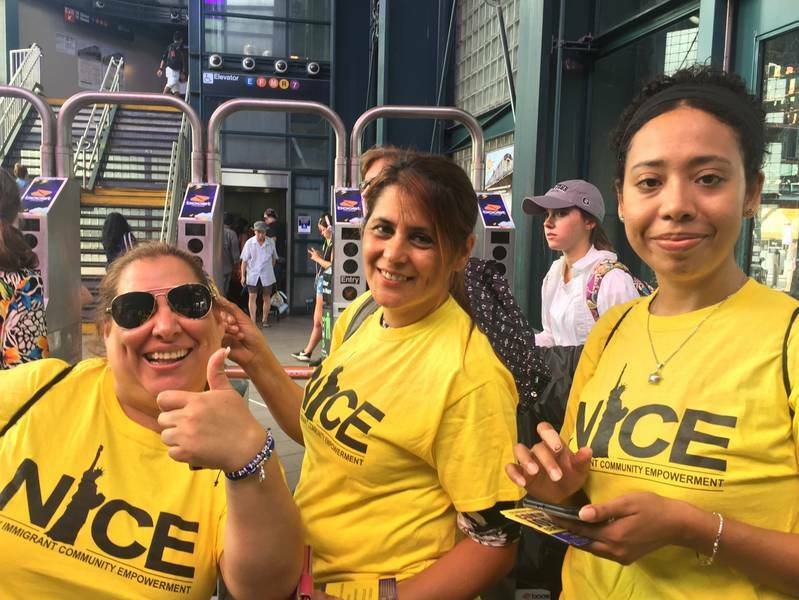 In collaboration with members of the New Immigrant Community Empowerment Center (NICE), Gabriela Ceja together with a group of immigrant workers are using their imagination to create and promote immigrant workers stories in the form of self-produced novelas. Join us at the Nathan Cummings Foundation for an introduction to this project and for a screening of The Story of Rossana, the first in a growing series of episodes. Together, we will discuss the strategies of this emerging process and brainstorm possibilities for using popular media to challenge power dynamics and center underrepresented narratives related to immigrants and labor rights. Worker’s Rights Telenovela Workshop. Photo courtesy of Gabriela Ceja.